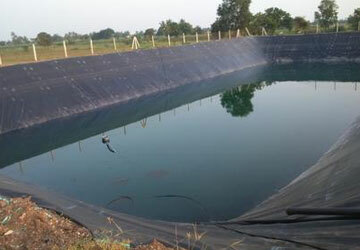 Pond liner are now-a-days being extensively used for Rain Water Harvest & Reservoir, Fire Water Holding Ponds, Industrial Water Storage Ponds, desalination plants ponds, farmers rain water harvesting, etc. 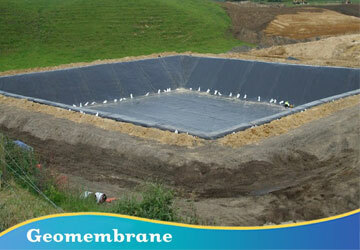 Pond liners have very high strength value and are UV Stabilized for long outdoors exposure. 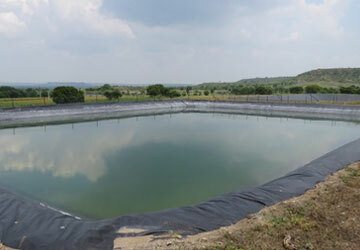 Silpaulin Pond Liner Sheet is fabricated by The Supreme Industries Ltd. These are cross-laminated tarpaulins that make them Light weight and super strong. They are acid & alkalis Proof, UV stabilized, heat sealed, rot & weatherproof tarpaulins. 100% water proof tarpaulins. Ultrasonically welded so make them useful for Pond lining. Confirming to BIS 14611-1988. It is advisable to use Silpaulin Pondliner Sheet of 200 GSM, 250 GSM or 300 GSM for better durability & long lasting resistance. • These Sheets come with Warranty and can be repairable, hence cost of maintenance is minimal.